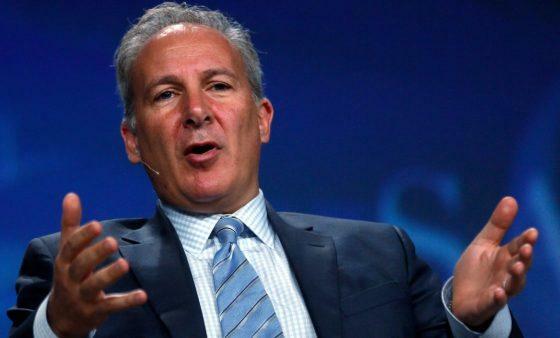 Peter Schiff: "The American Standard Of Living... It's Going To Collapse"
Schiff says the U.S. is flexing more muscle than it has. After the arrest of Huawei chief financial officer, Meng Wanzhou, a Chinese businessman who is accused of violating U.S. sanction laws, the Chinese are already planning economically destructive ways to reduce the dollar’s influence and power. “The dollar, having the reserve currency, that status is in jeopardy. And I don’t think the world likes giving America this kind of power that we can impose our own rules and demand that the entire world live by it. Schiff added that he thinks China is in a much better position than many are willing to admit. There is a growing movement around the world to create alternatives to the global dollar system. The Russians have developed a money transfer system that could one day compete with SWIFT, and even the Europeans have announced plans to develop a special payment channel to circumvent U.S. economic sanctions and facilitate trade with Iran. When RT‘s host told Schiff that China was “wobbly” right now, Schiff said that the U.S. economy isn’t exactly rock solid, despite the media’s talking heads declaring it as such. But that’s not even the worst news. Because of all of the problems being underscored by so many, the collapse of the dollar and the American standard of living that will follow aren’t even a concern for most. But the bubble is bursting, according to Schiff, and the market will go so much lower.